Though often overlooked, a well-insulated basement offers a number of advantages for homeowners. Insulating a basement can convert it into a conditioned space, making it a more suitable environment for finishing as a living space or storage space. Because a basement is closely connected to the rest of the home, it may also save a significant amount of money in heating costs, particularly in colder climates. Finally, quality basement insulation is a reliable way to combat moisture-related problems such as mold and mildew growth. The tips and techniques below will help you decide on the right insulation and tips to keep in mind when installing it. Along with preventing heat transfer, one of the most important considerations for basement insulation is the ability to prevent moisture intrusion. Concrete walls are porous and allow moisture to pass through, which is something you should carefully consider when choosing insulation materials. The gold standard is closed-cell spray foam, which acts as an excellent vapor barrier and prevents moisture from intruding into the basement itself. For a less costly and more easily installed alternative, foam board insulation is another popular choice among do-it-yourselfers. Before even beginning the installation process, it’s important that you verify there are no water intrusion issues with your basement walls. Placing insulation atop seeping or leaking walls is a recipe for major mold damage and potentially costly repairs and remediation. If your basement walls are regularly damp or you notice seepage following heavy rains, your basement has a water intrusion issue that should be addressed before installing insulation. This often requires professional assistance, but common fixes include improved gutter and drainage systems and regrading soil around the house to slope away on all four sides. Rigid foam board insulation is relatively easy to work with, but homeowners should be aware of a few key steps. First, each and every seam between boards should be sealed thoroughly to prevent indoor air from coming into contact with the underlying basement wall. This can be done in a number of ways, including caulk, specialized tape or canned spray foam. Second, building codes generally require that foam insulation should be protected with gypsum drywall. This is often done by framing a two-by-four wall inside of the insulation. For more information on global warming, climate change or for details on insulation, contact USI online to find a branch near you and get a free quote. USI believes in excellence in every step of the process and ensures timely completion and quality of service, time after time. 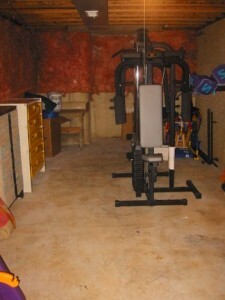 What are the Benefits of Insulation for Your Basement?